If you want to make changes to your will after you and your witnesses have signed it, you have two options. You can either make a codicil to your existing will or make a new will. Both require your signature and the signatures of two witnesses. If you have only a few small changes, making a codicil is a functional option. A codicil is like a legal “P.S.” to your will. To create a codicil, you write down what you want to remove or add to your existing will, sign it, have two witnesses sign it (as you did with your original will), and then keep it with your will. After your death, your two documents will be read and interpreted together. You can have a lawyer write your codicil for you, or you can make one yourself. However, in most cases it makes more sense just to make a new will. Revoking the old will and making a new one will reduce the possibility of any confusion that could come from having an add-on to your will. (With a new will, there will be no extra sheets to be lost or misconstrued.) Also, if you made your will yourself using software or online interactive forms, making a new will could be as easy or easier than making a codicil. For example, if you made your will with Quicken WillMaker Plus or Nolo’s Online Will, your information is stored within the program, so making a new will is as easy as going back in, making the changes, printing it out, and having your new will witnessed. 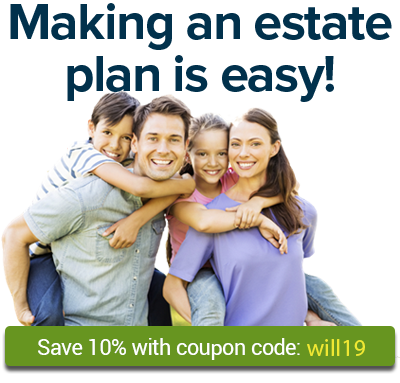 You can learn more about Wills and Do-It-Yourself Estate Planning on Nolo.com.